It’s far better to know only one way to get there, than to get lost every time! There are educational gurus out there promoting the idea that by giving students multiple solution paths it will give them a deeper understanding of math. Generally these experts know this from teaching pre-service teachers in college, some of whom come to have some insights by learning multiple paths to the same goal. Sorry folks. What works for pre-service teachers in college, does not [and never will] apply to most children. True, there are multiple ways to solve most arithmetic problems. They have been discovered over centuries across multiple civilizations. While one might dream of knowing all the ways to do long division, it’s far better to have one reliable method learned than to simply be confused and to get lost each time. Just as in directions to go someplace, it is hard to remember all the steps in the directions. When you’re new to a destination, the lefts and the rights are all arbitrary. 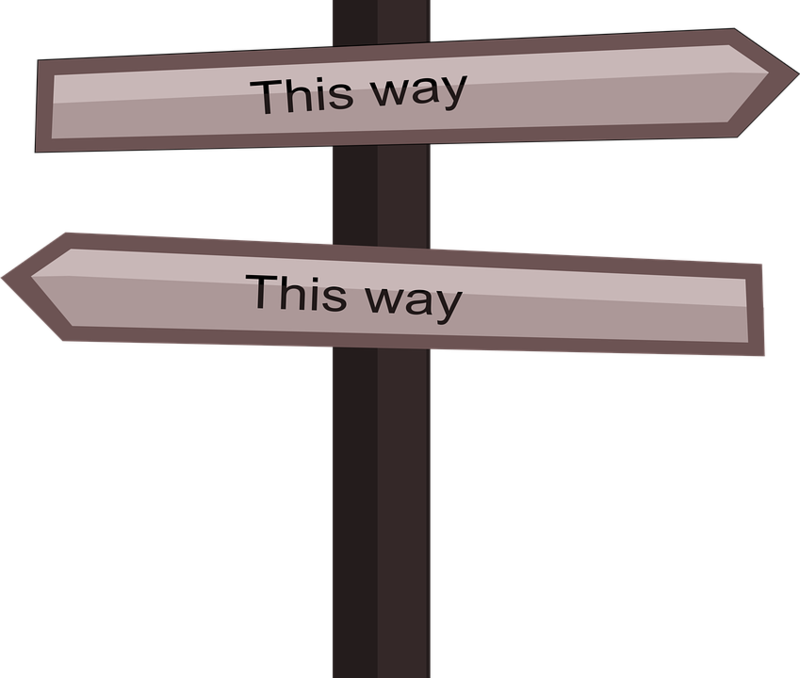 If you get two or more sets of directions, you are going to mix the steps from one way with the steps from the other method and you will not arrive at your destination. Math teaching strategy: Teach one solution method and stick to that until everyone has it mastered. In real life, as in math, once you learn one reliable method of getting to your destination, you are then free to learn additional ways, or to try short cuts. But please don’t confuse a beginning learner with short cuts or alternative methods. It adds to the memory load and there are additional things to think about when trying alternatives. Before the learner is solid in one method, the new information is likely going to get mixed up with the not-yet-learned material, leading to missteps and getting lost. Teach the long way every time and leave them to finding the short cuts on their own time. But teachers say, “I want them to have a holistic understanding of what they are doing!” Which is laudable, but that understanding has to come AFTER a reliable set of procedures is mastered. There’s no reason that additional learning can’t be added to the student’s knowledge base, but it can’t come before or in place of learning a simple, basic, reliable procedure. These admirable goals of getting a deeper understanding of math are fine, but they require MORE teaching than what used to be done, back when we were only taught algorithms for arithmetic. There is time to learn more than the algorithms, if we teach effectively and efficiently. Unfortunately, the deeper and more profound understandings in math can’t precede or be substituted for teaching the algorithms. If you don’t believe me, ask a typical middle school student to do some arithmetic for you these days. Few of them have mastered any reliable procedures for doing long division or converting mixed numbers or adding unlike fractions, etc. It’s time to accept that teaching one way of doing things is better than none. This entry was posted in Math teaching in general and tagged basic math, computation, learning, math misteaching, math teaching strategies, middle school math, misteaching, teaching. Bookmark the permalink.